Сard counting gives the Player an opportunity to get a mathematical advantage over the casino, which is the reason why nearly all casinos somehow avoid card counters. Casinos aren`t interested in keeping customers who will continue winning. In land-based casinos you can be asked to leave just because the pitboss doesn`t like your betting system and suspects you of card counting. Or you will be surrounded by unbearable environment and will have to leave yourself. Online casinos aren`t capable of watching every customer playing, so they invented an easier solution to the card counting problem. All cards used in the game are shuffled every time before being dealt, i.e. all the decks are dealt. This method makes card counting even in single-deck Blackjack pointless. 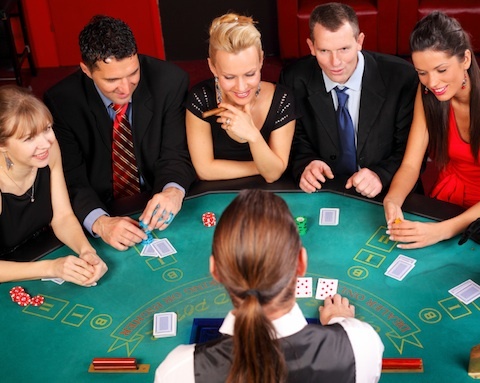 Several years ago online casinos offered a new opportunity – blackjack with live dealers. Dealers don`t shuffle cards after every deal, use a real shoe, or deal by hand according to the land-based casino rules. This gives sense to card counting. How powerful is this strategy, anyway? Aren`t there any pitfalls? Unfortunately, there are some. Effectiveness of card counting depends on how many cards are cut before being placed into the shoe. The more cards remain after the cut, the higher winning odds card counting can bring. Every card counter knows it. In online blackjack with live dealers about a half of all cards is removed after the cut. In other words, in 8-deck Blackjack shuffle is made only after 4 decks have been played. Any skilled player will agree that this is too infrequent. This condition may be either clearly stipulated in the casino`s Terms and Conditions, or may be veiled by a vague announcement from the Dealer. The latter being the case, the game will be played with no more than half a deck as well. It turns out that you won`t be able to count cards when playing online blackjack with live dealers. The real count won`t be high or low enough for you to be guided by it, e.g. to vary the amount of your bets or change your basic strategy. Though card counting can`t be considered totally useless, the benefits it brings are too insignificant and not enough to get an advantage over the casino.